At the behest of the client a new radiator was installed on the existing circuit at 5 Dodgson Close. The existing lounge radiator was undersized and highlighted by the resident to our surveyor. 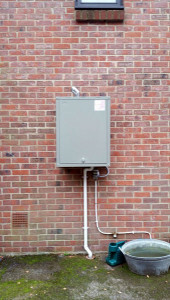 We also supplied and fitted both carbon monoxide alarms and armaflex lagging at each of the eight properties. Furthermore, our surveyor and administration team assisted our client with RHI claims and applications. The project produced challenges that were successfully circumvented by CCS Ltd through effective planning, and through the experience and assiduous efforts of onsite engineers. It was observed at survey stage that a number of the properties would require two scaffolds to enable the solar thermal panels to be installed on both the east and west array. 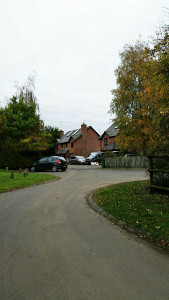 The scaffolds were organised so as to cause the least possible disruption to the residents. Additionally, the concrete roof tiles were all nailed with ring shanked nails. We efficiently installed the panels with minimal breakage to existing tiles. 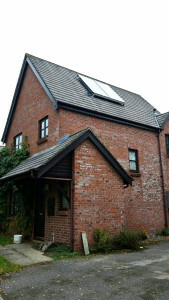 Damaged tiles were sourced and replaced upon completion of each property. We effectively communicated with residents and our client at all stages of installation. Our surveyor and administration team were on hand offering comprehensive guidance on progress, design and training for the operation of the new systems. 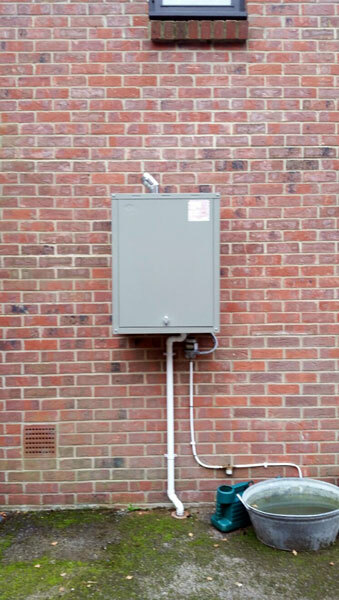 The installations and commissioning at Dodgson Close were all completed in a timely and professional manner with minimal disturbance caused to residents. All certificates were submitted to the client following extensive testing of each individual system.